Six-year-old makes £8million in a year just by doing his dream ‘job’ reviewing toys. Think back when you were six years old – how much was given to you? you might have been given $1 a week pocket money to buy sweets from the shop in the neighborhood. Imagine if you were earning £158,000 per week at the same age. You wouldn’t know what to do with yourself. One little boy has earned more than £8million in 2017 – just by reviewing toys online. 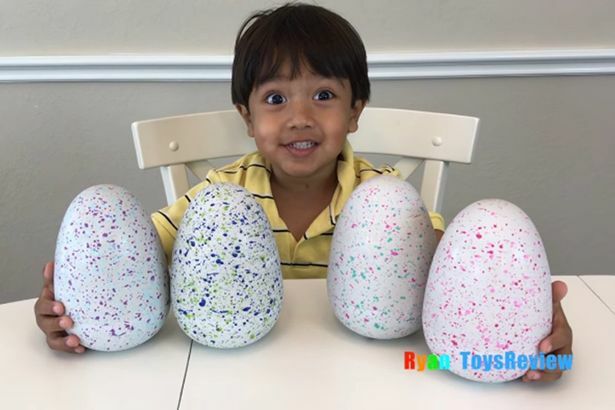 Ryan features on the YouTube channel Ryan ToysReview and stars in videos where he plays with the latest toys and tells viewers what he really thinks of them. According to Forbes, he was one of the highest-earning You-Tubers this year, raking in $11 million before tax. Ryan’s parents film the videos and post them to his channel, which has an audience of about 10million subscribers. According to The Verge, this translates to about $1million a month in advertising revenue alone.